Car market leader Maruti Suzuki India Limited (MSIL) today announced that over two million people have now been trained in safe driving at its various driving training facilities in the country. MSIL, which started its safe driving initiative with Institute of Driving Training and Research (IDTR) in partnership with Delhi Government in the year 2000, said the two million milestone has been achieved this month. Maruti Suzuki currently manages six IDTRs including two in NCR and one each in Dehradun, Baroda, Rohtak and Bahadurgarh, in partnership with state governments. These institutes offer learner and refresher courses, including to commercial vehicle drivers. Many trainees find gainful employment after completing their training program. Over 1.3 million people have trained at IDTRs. Maruti Suzuki also collaborates with its dealers who manage and operate nearly 320 Maruti Driving Schools (MDS) across the country. MDS are neighbourhood driving schools that are equipped with driving simulators and offer a mix of class-room and practical training by trained instructors (including women). Over half the people trained at MDS are women. Mr Mayank Pareek, Chief Operating Officer (Marketing and Sales), Maruti Suzuki India said, “India needs high-quality training in safe driving on a massive scale. We are happy that we have touched two million people, but realise that this is only a drop in the ocean. Various corporates and all stakeholders have to collaborate to make India’s roads safe for its users”. “We value the support of state governments and dealers in this effort, and are committed to scale up our effort”, he added. Maruti Suzuki expects to train another 5 lakh people in safe driving in 2014-15. 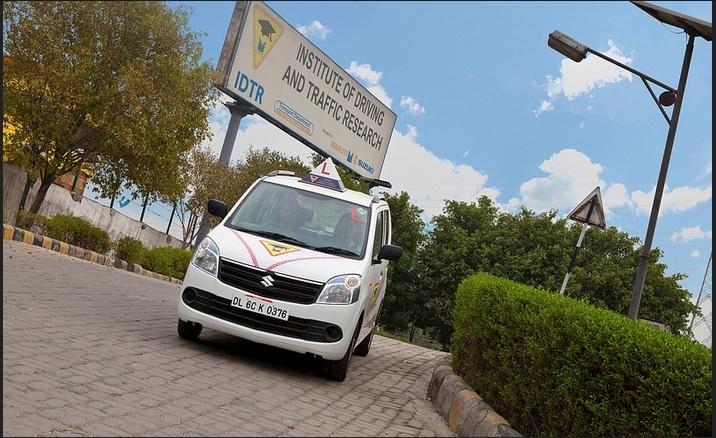 The IDTRs and MDS also design customized programs for corporate employees, women and police and paramilitary personnel to expand the reach of safe driving practices. Nearly 5000 tribal youth in Gujarat, many of them landless workers, have found jobs or turned successful entrepreneurs after being trained in the residential program at IDTR, Baroda, run by Maruti Suzuki in partnership with Gujarat government. Under its Safe Driving initiative, Maruti Suzuki also has “Train the Trainer” program that helps to multiply the impact.